Cine Crezi ca va cistiga Campionatul Lumii din 2010 La Fotbal? "2010 World Cup" redirects here. 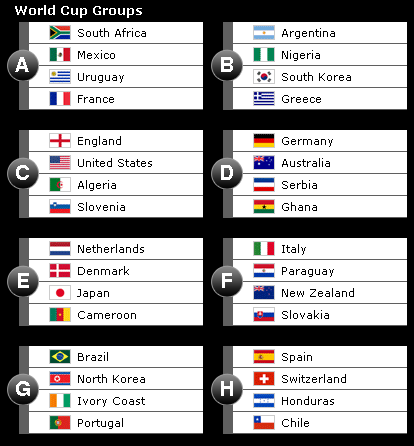 For other competitions of that name, see 2010 World Cup (disambiguation). "FIFA 2010" redirects here. For the EA Sports video game, see FIFA 10. This will be the first time that the tournament has been hosted by an African nation, after South Africa beat Morocco and Egypt in an all-African bidding process. Italy are the defending champions. The draw for the finals took place on 4 December 2009 in Cape Town.